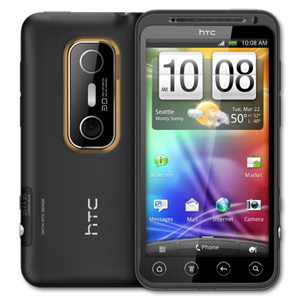 The EVO 3D was released in July 2011 as a variation of HTC's 2010 flagship device, the EVO 4G. The EVO 3D is distinguished by its rear dual 5MP cameras, which can be used to take photos or video in stereographic 3D. The device is powered by a dual core Qualcomm Snapdragon CPU and Adreno 220 GPU. The 4.3" display has a resolution of 540 x 960, and is the first smartphone display to support autostereoscopy, which allows for viewing 3D content without the need for 3D glasses.